Driving back from the airport in the early morning a few months ago, I turned on the radio and happened upon the mesmerizing “Put There By The Land” by the Great Lake Swimmers. That led to exploring this Toronto-based group further. Nice variety of styles, including some with catchy hooks, such as “Easy Come, Easy Go” and “Pulling on a Line”. This group deserves more attention. More about them on their website here. 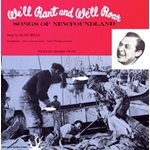 Lately I’ve been wearing out both “Above the Ground” and “Hello” by Mark Berube & The Patriotic Few. The clip of the first song, which is available on YouTube, is a shortened version that provides a good feel for the whole of this very mellow piece and its terrific lyrics. Guest singer Emily Loizeau joins the band on that piece as well. “Hello” is hypnotic. Both are on the band’s June in Siberia album, released earlier this year. Robbie Robertson’s recent receipt of an Order of Canada award reminded me that I had not posted anything about music lately and that I’d been looking for an opportunity to comment on both Neil Young and The Band. One of those cultural semi-secrets about which many of us in the States are unaware is how much of what we consider to be American entertainment derives from Canadian performers. Sticking just with music, notable Canadian performers with numerous fans in the States include not only Neil Young and The Band, but also Arcade Fire, Tragically Hip, Hidden Cameras, Bachman-Turner Overdrive, The Rakish Angles, Leonard Cohen, Shania Twain, Gordon Lightfoot, Celine Dion, k.d. lang, Sarah McLachlan, Joni Mitchell and Matthew Barber, to name just a few. But of all these, I have a special regard for the classic folk-rock sounds of Neil Young and The Band. Although born in Toronto, Neil Young spent much of his teen years in Winnipeg before later taking up a long time residence in California. While there are many things to appreciate about Young, his deep lyrics and the shades of knowing melancholy in his delivery are what stand out most for me. So many of his songs — “Old Man,” “Heart of Gold,” “Ohio,” “My My, Hey Hey,” “Helpless,” and “Don’t Let it Bring You Down,” among others — stand up well in the test of time. It’s amazing that well after his initial rise to prominence in the 1960s this guy is still going strong all these many years later, even having released two new studio albums since 2009. It’s probably no coincidence that The Band also initially hit it big in the rock music scene in the 1960s, carrying a bright musical torch until their break up in 1976, which was famously captured in Martin Scorsese’s documentary of their valedictory concert in “The Last Waltz”. While all but one of their members was Canadian, the one non-Canadian, Levon Helm, was hugely influential in that group as the rare drummer with so much talent that he brought his Arkansas-twanged voice to bear as lead singer on two of the group’s most notable songs, “The Weight” and “The Night They Drove Old Dixie Down.” Nevertheless, as with NHL teams, which count many “cross-over” countrymen from both sides of the border among their ranks, it’s fair to regard The Band as being as much a product of Canada as it is of the States. The following video nicely features Young performing with The Band at The Last Waltz concert, with Joni Mitchell providing back up vocals. Last night the 41st annual JUNO Awards — Canada’s equivalent of the Grammy Awards — were announced at an awards gala and presentation ceremony in Toronto. Winners included The Arcade Fire’s The Suburbs for Album of the Year, The Arcade Fire for Group of the Year, Neil Young for Artist of the Year, and Meaghan Smith for New Artist of the Year. 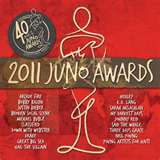 The official JUNO Awards site (http://junoawards.ca/) has details on winners, sound clips from nominees, photos of event and much more. 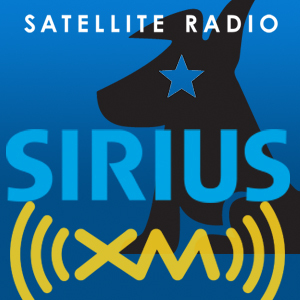 A little more than a month ago, I got a trial subscription to Sirius satellite radio for my car but until the past two weeks I had not paid much attention to it. 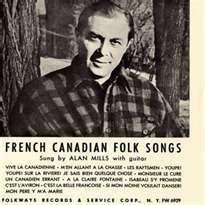 Then I downloaded a channel guide and skimmed through the varied options and was intrigued that in addition to channels devoted to music and musicians I like, there are several channels devoted to Canadian music, news and sports. It seems fitting that my attention would be drawn to these channels given that the first occasion I had to listen to satellite radio was in a rental car on a trip to Nova Scotia a couple of years ago. During that initial experience with Sirius’s offerings I hopped around from channel to channel appreciating what was for me a sense of novelty, but because I did not have a list of channels I was unaware of satellite radio’s breadth. Although I need to explore each of these more, I’m already impressed at the way these channels add another dimension to my understanding and learning about Canada’s diverse culture. I’m not certain whether I’ll keep the Sirius subscription after the trial period but if I do I’m sure that being able to tune into Canadian radio will be the balance tipper. Although I love both all sorts of music and all manner of documentaries, when several years ago my wife proposed that we see the documentary Leonard Cohen: I’m Your Man, which was then playing in theaters, I was initially reluctant. My problem was that I suffered from a woeful ignorance and underappreciation of this musical maven of Montreal and the impact of his gifted songwriting. Funny thing is that I had previously heard numerous covers by others of his songs — including “Suzanne,” “Hallelujah” and “Chelsea Hotel” — I just did not realize that he was the songwriter. Well, not long into the screening it struck me how truly good this music was. The movie is really a wonderful tribute to Cohen, bringing together numerous noteworthy singers to perform their own interpretations of Cohen’s songs. There are several standout performances and I’d recommend most. Rufus Wainwright does an emotional version of “Hallelujah” in the movie, even though I best enjoy Jeff Buckley’s rendition of that song among the many exceptional covers that have been done of it. So, I’ve since mended my ways with respect to Cohen. In addition to his lyrical talents, there are many things to appreciate about Cohen, not least of which is his very laid back, wise and humane perspective on the human condition. Cohen seems to be enjoying a renaissance these days, no doubt propelled in part by his being rediscovered by many through the recent documentary. While I fall into the camp that believes Cohen to be a better songwriter than a singer in his early music career, I believe his now gravelly voice adds a welcome soulful texture that prompts a further listen to his own singing. In this respect, the poignant singing and narrative of Cohen’s own version of “Tower of Song” is riveting. A couple of months ago I stumbled onto the web site for Bearwood Music, a small music label in British Columbia. While there are several artists recording with Bearwood that interest me, one of the standouts is the band The Rakish Angles, who are from Gibsons, British Columbia. 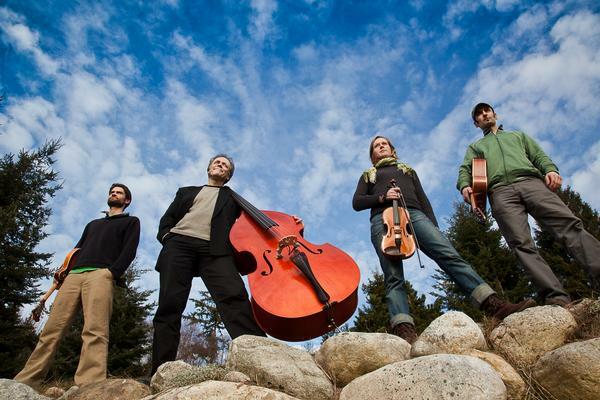 The amazing quartet performs a wonderful mixture of instrumental bluegrass and jazz, that has both traditional elements and some experimental aspects (for instance, a couple of their pieces meld bluegrass with flamenco — a combination I’ve not heard before). 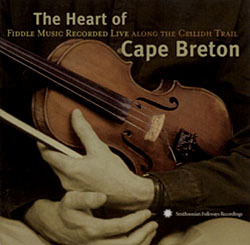 Although they were justly among the nominees for “Instrumental Group of the Year” in 2009 at the Canadian Folk Music Awards, I sense that these solid musicians don’t yet get the exposure their considerable talents deserve. The song “Dan and Misha’s Wedding”, from their debut CD “The Rakish Angles”, is particularly beautiful as both a hopeful piece and as a contemplative elegy containing musical threads that, at least to me, are readily connected to Scottish and Irish traditional pieces. 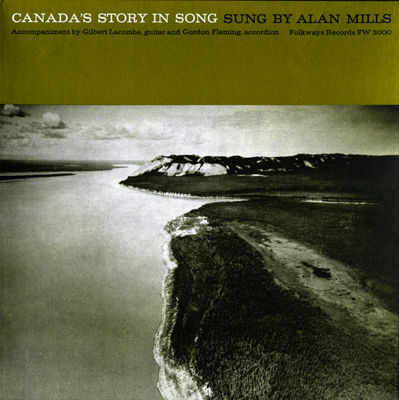 Because of this, I’m sure that the graceful notes of the violin in this song would have been familiar to many early pioneers in Canada from the British Isles. It’s also reminiscent of any number of instrumental folk tunes still common today in the mountain regions of the southern U.S., which was also populated early on by immigrants from the same region and which has its own rich bluegrass heritage. The song, which I’ve had on one of my recent iTunes playlist and which I’ve listened to repeatedly this past week, can be listened to in full on the band’s MySpace page (link below) or sampled and purchased on iTunes. Give them a fair listen and I’m sure you’ll find some other truly good things by these worthy performers. 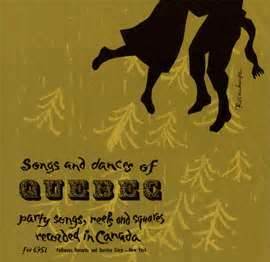 Among the songs that I’m wearing out in my iPod this week is the retro sound of “In the Na” by The Hidden Cameras, an indie folk rock band based in Toronto. (This video is an extended version of the song, with the music actually starting at 1:43 for those that want to skip to that point.) 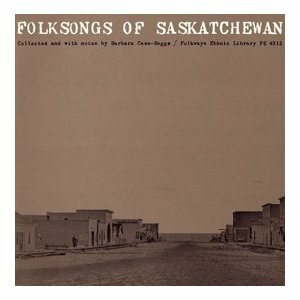 Other notable songs of theirs include “I Believe in the Good of Life,” “Doot Doot Ploot,” and “We Oh We”.